CHHS Head Coach Derek Irons and his wife Leslie welcomed newborn son Luke to the world Saturday afternoon. Luke and his mom are doing great. Projected to be a power-hitting pitcher/catcher for the Class of 2028, Luke is already on several watch-lists across the state and nation. William Teal, a 2008 graduate of CHHS, has made a commitment to play baseball with the Trojans of Troy University following the Spring of 2010. Teal is in his second year at Northwest Shoals and has had an outstanding record as a pitcher. William will enroll at Troy in the Summer of 2010. Congratulations William and best of luck. Blake Sanders, a CHHS graduate of 2007, has committed to play catcher for the University of North Alabama baseball program in Florence. Sanders played catcher for two years at Northwest Shoals, and will join UNA in the Spring, with two years of eligibility remaining. Congratulations Blake and best of luck. The new 2010 Charles Henderson High baseball website is now online, and will be updated periodically with Varsity, JV and Freshman rosters, as well as more information. 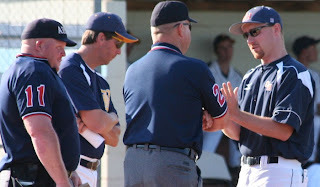 The official website of Charles Henderson High baseball will be posted with upcoming news and schedules for the 2010 season. You can go to http://www.chhstrojans.org to keep up with the Trojans.